Our magnesium taurate supplement provides high strength magnesium chelate with amino acid taurine. Different chelates of minerals such as magnesium exert their effects in different ways. Our Magnesium Taurate supplement comes in the form of a vegetable cellulose capsule. This enables us to offer a supplement that does not require any unnecessary chemicals, excipients, binders or unnatural fillers. A vegetable cellulose capsule is designed specifically to break down naturally within the acid of your stomach, ensuring that your body absorbs the nutrients during digestions. 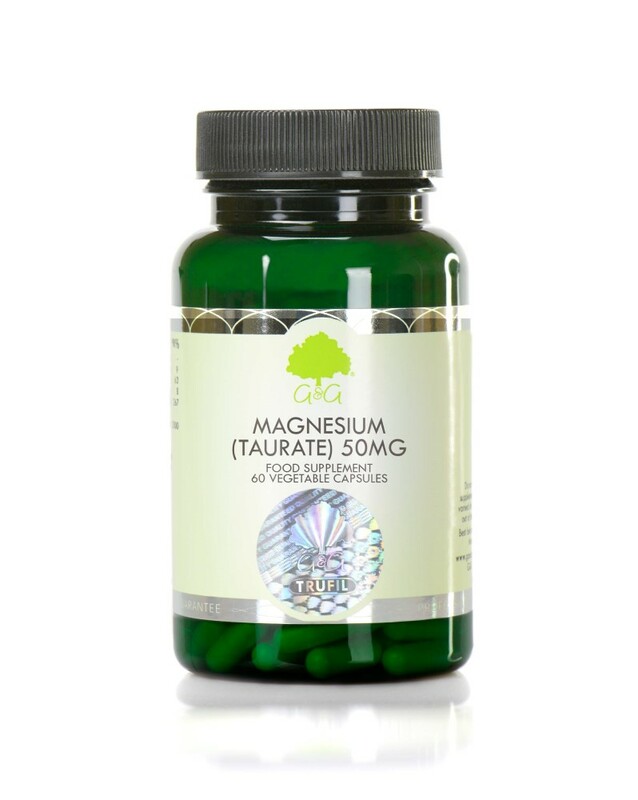 Our Magnesium Taurate supplement is suitable for vegetarians and vegans. Take 1 capsule after your last main meal of the day or as directed by a healthcare professional.